The Product Design: Innovative Packaging course introduces you to product packaging design and sustainable design principles using Fusion 360 CAD/CAM software. With a focus on improving an existing product form, function, and sustainability, this course explores leading edge opportunities for the design of a new second life detergent packaging solution. In this course, we'll work together to develop a deep understanding of how second life packaging innovation can be achieved from the design and development process, to materials choice, manufacture, and Life Cycle Assessment (LCA). Your goal is to quickly generate photo-realistic digital prototypes for a new innovative second life packaging solution for presentation and review. Let's get started! Gracias por el cursillo, me está sirviendo para quitarme el miedo. In this lesson, you explore the course details, access required project resources and download and setup Fusion 360, the CAD software tool used in this course. In this lesson, you navigate the Autodesk Fusion 360 user interface and then apply basic skills to model a box with fillets and a drilled hole. You will learn how to render the box, apply appearances, and share and collaborate with other designers on A360. Lesson 3: What is design innovation? Innovations in packaging must support customer needs, product brand expansion, and product sustainability and recyclability. Advancements in technology make that possible. In this lesson, you review principles for design innovation and are introduced to design innovation methods for developing second life packaging solutions. Using the design specification template provided in this lesson, you apply your knowledge of design innovation principles to your own initial design specification checklist. Step 1: What is design innovation? In this lesson, you explore sustainable design practices including whole systems thinking and life cycle assessment from the Autodesk Sustainability Workshop. After reviewing these different approaches to second life packaging innovation, you make refinements to your initial design specfication checklist. In this lesson, you use Fusion 360 Sketch and Freeform tools to create initial concepts for your packaging design which will be developed further following testing and prototyping. You will also be introduced to Green Materials Selection from the Autodesk Sustainability Workshop and perspective grids for analogue sketching and concept generation. Prototype development is an essential phase of the design process to gather feedback and refine your design. In this lesson, you prototype your packaging design using Fusion 360 3D printing, Live Review and Simulation tools. In this lesson, you document the final product design. You will create a new drawing from a design, create 2D orthographic views, and add annotation including center lines and dimensions. In this lesson, you render the packaging design using Fusion in-canvas renderer and cloud rendering. You also learn how to apply different physical materials, appearances, and save the rendered images. Test your Fusion 360 skills and showcase your knowledge by demonstrating your expertise, and see where you need more practice. Looking for extra support using Fusion 360 or design inspiration? 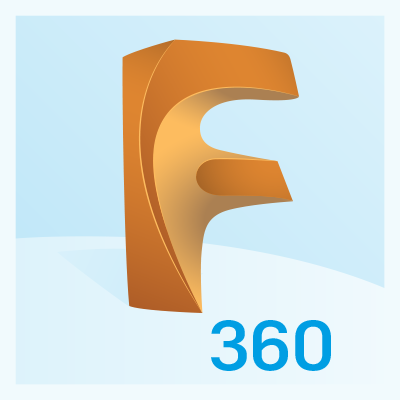 Check out the Fusion 360 how-to-video library and our designer profile interview. Now that you've completed the course, learn about opportunities to share your work, take new Design Academy courses, and sign up for education programs and groups.